Lying somewhere between time travel, madness and an epic Hollywood blockbuster production, Ronda Romantica sees the town of Ronda recreate – no: relive the past. There is a lot of past to select from, but the period of choice is the Romantic era of the mid-nineteenth century and, should you visit us between May 23-27 we'll take you there and you'll find yourself immersed in it. Artisan markets, horse parades, horse shows and equestrian competitions, flamenco contests and gastronomy festivals jostle for attention in the action-packed itinerary. Popular re-enactments commemorate precise historical and some possibly mythical events, the most popular among them including the 1810 invasion of Napoleonic troops, the Bandoleros de Grazalema, and The Battle for the Bridge. But there are many more. 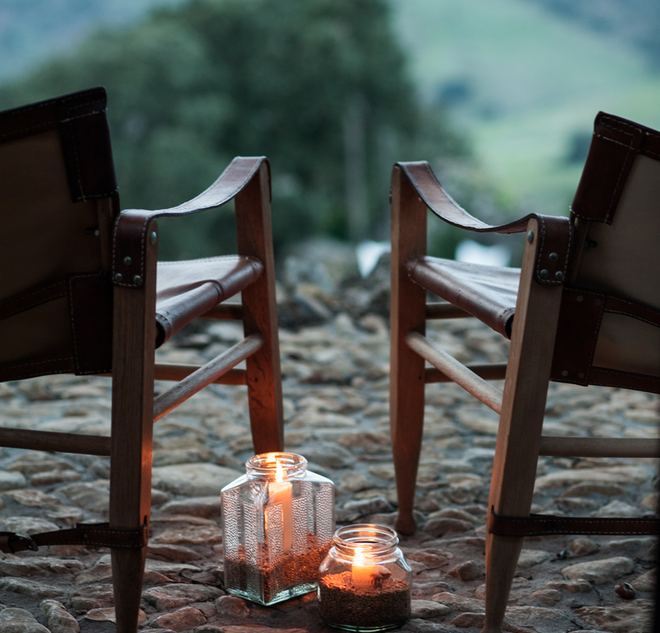 The entire year between one Ronda Romantica and the next is spent by some in feverish preparation, and the attention to detail and wholehearted involvement of Ronda residents is cheering and bewildering. The streets and shops are decorated, and the balconies festooned in shawls and tapestries. All historic artifacts – from yokes and hoes to caskets and etchings – are brought out from the shadows, and restaurants present menus of traditional fare served by candlelight. There are an awful lot of horses in the streets, all extremely well-dressed and well-turned out. People too are well-dressed and well-turned out. Many wear the traditional dress of the time – fantastically vibrant and detailed, adorned with embroidery, tassels, silver buttons and buckles, and topped with hats. Even the hairstyles are meticulously recreated. There is perhaps a disproportionate number of bandits because bandits have the best costume, get to carry pistols and have the most exciting part to play in re-enactments. The rugged mountains, Moorish palaces, heat, beauty and general skulduggery made Ronda irresistible to 19th century romantics who wafted across the continent carrying notepads, sketchbooks and quills. Washington Irving, Richard Ford, Lady Louisa Tennyson, Penelope Holland and the French journalist Theophile Gautier and Prosper Mérimée (author of Carmen) were all captivated by tales of derring do, recording them in books and letters. Théophile Gautier, author of Voyage en Espagne, waxed lyrical on almost everything but the accommodation. Thankfully, not only have standards improved considerably in the 170 years or so since he visited, but modern day romantics can follow days spent among cheery pistol waving bandoleers with the contemporary civilised comforts offered by La Donaira, just 25 minutes away.